Mixing up your training regime helps you stay motivated and helps your body respond better to exercise. When you do the same form of exercise all of the time, you begin to plateau and do not get the same results that you might have achieved at the beginning of your training. Try a TRX class or give boxing a go! Have you smashed out continuous high intensity interval training (HIIT) workouts lately? Now is the time to try some strengthening and lengthening workouts. Focus more on weight based postural chain exercises, along with some mat Pilates. If you have been doing a lot of strenuous weight loaded exercises or running, it would be helpful to try and calm the adrenal system and do something slower such as yoga or strong glute and core activation. That is right! Hydrating your body is just as important in winter as it is in summer. If you prefer to drink warm water instead of cold water during this season, I totally understand! Try some lemon water first thing in the morning and throughout the day. Or even a nice herbal tea. Just try to stay away from too many caffeinated drinks. By having your lemon water or tea, you are also helping to curve those sugar cravings, so it is a win/win! Winter is all about warming foods. Fix your tastebuds with some delicious home-cooked meals, because cooking with the oven not only warms your tummy, but also warms the house! Who else loves the smell of a slow cooked meal when you first walk in the door? My favourite slow cooked meal is BBQ pork, or if you are after an oven-cooked meal, put a bunch of your favourite vegetables on a tray and roast them while you cook your go-to protein. Another one of my all-time favourite things to have all year round, but especially in winter, is bone broth. You can either make a bone broth yourself with a simple recipe in the slow cooker, or if you are in a hurry you can try the dehydrated bone broth from a health food store, and just add hot water! I know it sounds a bit bizarre, but do not knock it until you have tried it! It has SO many health benefits. I am calling it now–it is going to be the next turmeric latte! Now is the time to put your trackies on with a blanket on the couch (while drinking some bone broth). It sounds pretty great, right? This is the perfect location for your final tip: goal setting! Write down what you want to achieve in the next three months. Why do you want to achieve these goals? What do they mean to you? And finally, how are you going to do it? Setting yourself up with a plan is the ultimate key. It will be your encouragement when you are thinking of hitting that snooze button. Remember why you want it and how it is going to make you feel. Then you will accomplish ANYTHING! So there you have it, these are Kari’s top five tips for maintaining your health during these cold winter months! For more about Kari, visit www.themvmtstudio.com.au. 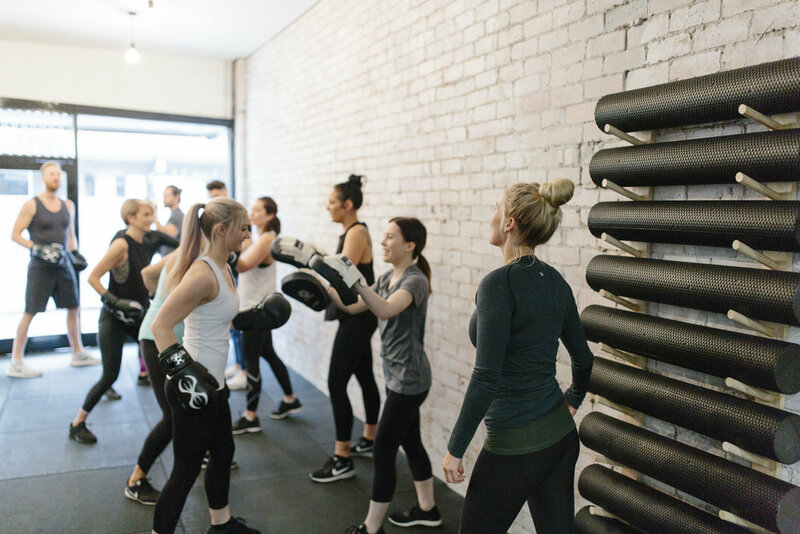 If you are a Melbourne local, Kari has just opened a studio in St Kilda, where she is holding personal training and group training classes. Book yourself in and I might see you there! P.S. Please remember to always consult a professional when trying any new exercise or dietary regimes.